When you're looking for a trainer, you want someone who can bolster and break your will. You need it, so you pay for it. No matter how tough you think you are, no matter how long you've been banging iron in the weight room, some quality time with a personal trainer can save you aches and pains in your body and help you achieve your goals. Adam Bisek is one of many young trainers trying to blast into the PT crowd. Clients are always looking for the right fit, to help them get where they want to go, but that decision can be tough to make. In this interview, Adam discusses his training methods and proves why he's the one to get the job done. We're proud to feature Adam Bisek, this month's Personal Trainer of the Month! I have been through a good deal of ups and downs in my life and in my career. I took an interest in training and nutrition when I started excelling at track and field and was training to compete in college. I began studying exercise science, and while focusing on my studies, I began to take a strong interest in the aesthetic side of the industry. I took to a strict diet and training regimen and became an amazing specimen at 6-foot-2, 200 pounds and a DEXA scan that pegged me with less than 4.1 percent body fat. Unfortunately that wasn't good enough for me. I kept strict to my regimen and reached extremely low body fat levels, which I never had measured. I developed issues recovering from exercise and could not stop losing weight. After many doctor visits I discovered I had acquired secondary hypogonadism and failure to thrive due to my severe overtraining. I suffered from severe depression. Due to my "Adonis complex," I could not deal with dropping to an out-of-shape 165-pound shell of myself following my sickness. I was put in therapy at 22-years old. Thankfully, I regained my weight healthfully along with my sanity. I was asked to conduct a research study in the summer of 2008. It was published in 2010 when I graduated at the top of my class from the University of Wisconsin-La Crosse. From my experience I gained a great deal of compassion and empathy that helps me tremendously as a trainer. Not only do I bring a great deal of passion to education, and honing my craft, I bring a lot of intensity and integrity to my business. I officially became a trainer when I passed my NSCA-CPT my sophomore year of college. I began training at the local YMCA and another local gym in the La Crosse, Wisconsin, area. My training style and methods will differ based upon the individual and their goals. From a general standpoint, if you were to compare me to other personal trainers, I implement much more resistance training and much less of what is thought of as traditional aerobic, steady-state training. I feel the term "aerobic" is a misnomer in the context which it is most commonly used in our industry. As a nutrition coach, I work intimately with my clients on how to implement the best nutritional strategies in the context of the training to achieve the healthiest and most aesthetically pleasing body possible. Erik, who competed in his first men's physique show June 9, 2011, has made leaps and bounds. I don't attribute his success to me. I only give him and others I work with the tools to succeed. Erik was immensely compliant, unbelievably driven and took to heart every implementation we made to his diet and training. In roughly 8 months of preparation for his show, he went from 21.9 percent body fat to 4.9 percent, as confirmed by a DEXA scan. He lost a whopping 35 pounds of fat. 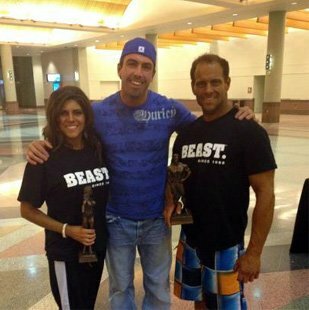 Erik stepped on stage with extreme confidence and took third place in his first competition. Erik Winegarden: I mentioned him previously for making amazing body composition changes and competition achievements. Throughout his wife Brionne's pregnancy and a couple years after the birth of his first two children, Erik put on and kept the baby weight! Brionne, also a client, always seemed to take it back off, however. Jokes aside, Erik became more like a brother to me. We train together, and he preps me prep for my shows as well. Angela Burcham: Angie is an absolutely amazing person. Her positive attitude, determination, and commitment are unmatched. Though her journey is not over, Angie has lost more than 180 pounds; she lost 80 of them in the past 10 months working with me. The journey Angie and I have been through together has had its peaks and troughs, but we have always found a way to make her progress continue. Though her weight loss may not be as swift as the contestants on biggest loser, they are pounds that will actually stay off, with the majority of them being fat, not muscle. The idea is not to lose weight, it is to lose fat by making a lifestyle change, not just dieting. Angie understands this and prioritized her health while holding a high level position occupation. Can you please you give me an example diet and training program you put together for your clients. Trying to steal my secrets, huh? I'm just kidding. From a nutritional standpoint, I don't necessarily put clients on a diet, but rather focus on habit change. And because each person is different, their diet will be too. I can show a generic example. I give meal plans based upon the foods that can practically be implemented in someone's lifestyle. We work together on foods and meals that they will actually eat, can practically prepare, and, of course, can afford. I group foods into several categories (proteins, fats, vegetables, and carbohydrates), and then assign each food with an amount/quantity based on the goal of the client. In regard to training it would be hard to say there is any generic example. However, I can list a great strength training routine I put together using a technique known as Peripheral Heart Action Training (PHAT) in a recent article. 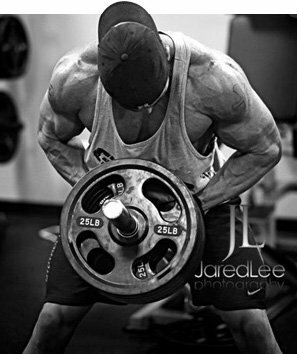 For any questions on how to complete an exercise, refer to the large library of exercises provided on Bodybuilding.com. I don't like to say clients make mistakes. Mistakes happen because of miscommunication, or because I as a trainer have not properly communicated the information or made it practical to implement. Compliance to my recommendations, however, is the only factor that is not in my complete control, and should be the only way a mistake is made. First is not being a personal trainer, but being a generic trainer. It all begins with the first meeting and moves on from there. To best serve your clients, and to be the most prudent trainer possible, you need to appropriately assess your clients. You need to get to know them as more than just their physical manifestation. Too many times I have seen trainers do a workout with one client, and the next client has the same workout. To me this is unacceptable. It depends on the level of client and in what capacity they want to use me as a coach. Frankly, I think all of my clients should use me as their health and fitness coach, rather than just their trainer or nutrition coach. I would say 50 percent of my clients use me to my full capacity, but obviously the ones who take direct recommendations on training and nutrition, and people who have the most one-on-one time with me have the most success. There are plenty of ways I keep my clients motivated, but it is being goal-oriented that makes the most impact. Setting smart goals and continually tracking them is the key to success. Finding out why a client wants to attain something at its root desire is the main driver from which success is made. A good example: a blood panel is done and a client sees frightening health implications. The "why" for this person is strong; their health is in danger. While the aforementioned "why" or driver is extreme, a client needs to realize the rationale for their goal or their reason to change. When that Snickers Bar looks good, or it seems too early to get up for a training session, their "why" keeps them committed. Wow, this seems like a loaded question! I would have to say no. I only say this because I treat every person as an individual, and to say I train people different because of their gender wouldn't make sense to me. For instance, I have plenty of women who are stronger than men I train, or have a more intense attitude toward training. Many things have changed, but the most notable is the ability to be what I call "on the fly." My experience has given me the ability to make decisions, changes, and give cues I have not initially planned for that particular session, but which are necessary for a better experience for my client. I initially do a consult where I get to know the person, their goals and their personal and professional selves. I then go through a couple different assessments based on the goals of the person. Let's take a general health seeker for example. I initially take them through an Overhead Squat assessment to see any dynamic postural and movement issues. From there I may move to other corrective exercise oriented assessments, or depending on the individual strength assessments, or more sport specific ones (e.g. 40-yard dash, pro agility, etc.). Honestly, I like a mix. I see personalities more than genders. I see people, not genders, and treat it that way. Of course there is a difference if I am training a women's figure athlete or a male bodybuilder. Their sports necessitate gender specificity. This is a commonly talked about issue with training. I try to keep the training hour for training in one-on-one sessions, but I also feel close to my clients. Some I hold as family. To say I feel like a psychologist seems to have a negative connotation. I would rather say I feel more like a close friend and trainer.